So, there I was perusing FB when a fellow Friend's post smacked me in the face --it was a link to their blog (http://reviewmetwice.blogspot.com/) encouraging people to participate in Camp NaNoWriMo (http://campnanowrimo.org/about). Well I first heard about NaNoWriMo (http://www.nanowrimo.org/), the parent for the Camp, a few years ago. 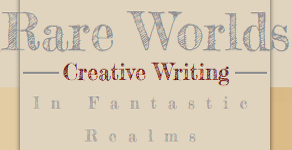 It is an annual writing "workshop" (for lack of a better term) that occurs each November. People sign up with the goal of starting (and finishing) a novel of a set number of words all to be written in one month. There is no prize. It doesn't get published. It is simply held to encourage people to write. The problem, for me, has always been that I simply do not have time to participate in this event during November due to work constraints. Well, lo' and behold, I now know that NaNoWriMo has two similar writing workshops to occur in April and July -- the Camp! They are less stringent with the word count (you set your own goal) than with the Nov. NaNoWriMo, which is really good for people who work and only have a limited time frame to devote to this endeavour. So here's to the challenge. If you feel the urge to set pen to paper (or fingers to keyboard, as in my case), join the fun. Hope to see you there! This is great! We'd heard of NaNoWriMo, but never heard of this before. Thank you for bringing it to our attention; we hope to participate.